GENEVA – The Board of the Global Fund to Fight AIDS, Tuberculosis and Malaria has selected Nafsiah Mboi of Indonesia to be its next Board Chair and Mireille Guigaz of France as its next Board Vice-Chair. Both will begin a two-year term starting in late June, 2013. Dr Nafsiah Mboi is the Minister of Health for the Republic of Indonesia. She has more than 40 years of experience in national and global public health, including a full career as a civil servant in the Ministry of Health. 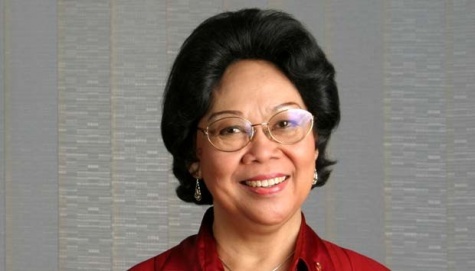 She served six years as Secretary of Indonesia’s National AIDS Commission, where she oversaw planning, coordination and implementation of the national response to HIV and AIDS, and expanded the involvement of both government and civil society organizations including work with faith-based communities and private sector initiatives. Originally trained as a pediatrician, Dr Nafsiah subsequently earned an MPH degree. She served as a member of Indonesia’s Parliament from 1992 to 1997. Internationally, she has served as Chair of the United Nations Committee on the Rights of the Child and also as Director of the Department of Gender and Women’s Health at the World Health Organization in Geneva. Mr Bland and Dr Mphu Ramatlapeng will serve as Board Chair and Vice-Chair through the next Board meeting on 18-19 June 2013. At the conclusion of that meeting, responsibility will be transferred to incoming Chair and Vice-Chair. It will be the first time since the Global Fund was established in 2002 that its Board will be led by two women. Madame Guigaz most recently served as France’s Ambassador for the fight against HIV and AIDS and communicable diseases, representing France on the Board of the Global Fund, a position she also held in the early days of the Global Fund. She has served on the Board’s Strategy, Investment and Impact Committee and its Audit and Ethics Committee, as well as on the Boards of UNITAID and Roll Back Malaria. In a career devoted to issues of global health, development and human rights, Mme Guigaz has served in numerous positions, including as France’s Permanent Representative to the Food and Agriculture Organization. She earned a PhD in medical law and health care economics at the University of Lyon. She also earned a Master of law and political sciences from the Institute of Political Studies of Lyon and a Master’s degree in mediation from the Kurt Bösch Institute. A planned handover period during May and June will allow for a smooth transition of leadership, at a time when the Global Fund is preparing to raise funds at a once-every-three-years pledging conference in late 2013, intended to accelerate the fight against HIV and AIDS, tuberculosis and malaria. Partnership is a founding principle of the Global Fund, and one the Board’s practices to embrace partnership between donor and implementer countries has been to alternate between a Board Chair from a donor nation, and from an implementer country. The same applies to the role of Board Vice-Chair. Dr Nafsiah and Mme Guigaz will serve in a personal capacity. In their new roles, they will represent the interests of the entire Global Fund, instead of representing their home country. Dr Nafsiah and Mme Guigaz were selected by unanimous electronic vote by the Board on 18 March 2013. Mark Dybul would probably be one of them. Between 13 – 16 March 2013, the newly-appointed Executive Director of the Global Fund to Fight AIDS, Tuberculosis, and Malaria, Dr Mark Dybul, visited Australia for the first time. Prior to assuming his new position as Executive Director of the Global Fund in February 2013, Dr Dybul served as the head of PEPFAR (President’s Emergency Plan for AIDS) between 2006 and 2009. In 2004, he moved to PEPFAR as Deputy Chief Medical Officer. Soon he was promoted to Assistant, then Deputy, and then Acting U.S. Global AIDS Coordinator. In 2006, Mark Dybul was appointed to head the organisation as U.S. Global AIDS Coordinator, equivalent level to an Assistant Secretary of State in the U.S. State Department. He served there until 2009. Under his tenure PEPFAR budgets quadrupled. During his visit, Dr Dybul was accompanied by Dr Christoph Benn, Director of External Relations at the Global Fund; Mr Don Baxter, Australian Board Member on the Global Fund; Mr Bill Bowtell, Executive Director of Pacific Friends; Mr Chris Puplick, Senior Advisor to the Health Minister of New South Wales; and Mr Shawn Clackett, Administrative and Communications Officer of Pacific Friends of the Global Fund. On Wednesday 13 March, the Global fund team visited Melbourne for a roundtable discussion with representatives of Australian non-government organisations (NGO) and leaders of HIV research institutions. The meeting was co-hosted by Professor Brendan Crabb, Executive Director of the Burnet Institute; and Ms Maree Nutt, National Manager of RESULTS Australia. Dr Dybul and Dr Benn briefed the meeting on recent structural changes to the Global Fund, including the revision of new grant and financial management arrangements; and strategy for the 2013 Replenishment year of the Global Fund. Sir Gustav Nossal, a distinguished Australian research biologist, famous for his contributions to the fields of antibody formation and immunological tolerance; Professor Sharon Lewin, Co-Chair of the 2014 Melbourne International AIDS Conference; and Mr Bill Whittaker AM, Advisory Council Member of Pacific Friends of the Global Fund were among those who attended the Melbourne meeting. Between 13 – 15 March, Dr Dybul and Dr Benn visited Canberra. During the visit, Dr Dybul was received by the Governor-General, Her Excellency Ms Quentin Bryce AC, who is also the Patron of Pacific Friends of the Global Fund. Dr Dybul and Dr Benn also met Senator the Hon Bob Carr, the Minister for Foreign Affairs; the Hon Tanya Plibersek, the Minister for Health; and the Hon Julie Bishop, the Deputy Leader of the Opposition and Shadow Foreign Minister. Dr Dybul and Dr Benn also met Mr Peter Baxter, Director General of AusAID, and senior AusAID officers. On the final leg of his journey, Dr Dybul visited Sydney between 15 – 16 March 2013. On Friday, 15 March, he met with some forty representatives of Sydney based non-government organisations (NGO) involved in HIV. Ms Wendy McCarthy AO chaired this meeting. On March 16, Dr Dybul visited the Access to Life Exhibition at the Powerhouse Museum, Sydney. This powerful photographic exhibition has already moved millions of people around the world through its touching images of AIDS-affected communities. Dr Dybul was accompanied by Ms Anni Turnbull, the Curator of the Exhibition; Mr Mark Goggin, General Manager of the Powerhouse Museum; Mr Ross Hutton, Public Health Manager at the Oil Search Health Foundation; Dr Kevin Miles, HIV Technical Specialist at the Oil Search Health Foundation; and Mr Tim Siegenbeek van Heukelom, Program Analyst and Information Coordinator at the Oil Search Health Foundation. One of the most severe cases of drug-resistant tuberculosis in the United States has been reported in southern Texas: a strain of TB resilient to at least eight of the 15 drugs used to treat this deadly airborne disease. This report comes hot on the heels of news that South Africa has become the fourth country – after India, Iran and Italy – to register strains of TB that can overpower at least 10 of these drugs. As we mark World TB Day on Sunday March 24, there can be no denying that TB, fueled by drug resistance, continues to pose a serious global health threat – one that must be urgently addressed. An outbreak of drug-resistant TB in New York City in the early 1990s cost more than $1 billion and killed 29 Americans. With resistance spreading, we need a renewed global commitment that combines public and private efforts to defeat TB. According to the World Health Organization, more than eight million people became infected with TB and 1.4 million died in 2011 – that’s about the entire population of Greater Indianapolis, the city where I live. And between 2009 and 2011, drug-resistant TB cases doubled in the 27 most-affected countries. Yet there are plenty of reasons to be optimistic. New partnership models are marshaling the resources and knowledge required to produce new TB innovations that can outflank the disease – and ensure that patients benefit from them. For example, Cepheid has developed a rapid diagnostic test, GeneXpert, which can identify TB – and the presence of drug-resistant bacteria – in about two hours. The U.S. government and the Bill & Melinda Gates Foundation are now collaborating in countries with high TB burdens to subsidize the purchase of these state-of-the-art tools. A related point about the new funding model may be relevant to the 47 countries that can apply for funding as “interim applicants” for grant renewals, grant extensions or redesigned programs that can rapidly make use of funds in 2013 and 2014. The Global Fund is taking both committed and uncommitted funds into account as it determines allocation amounts for the 2014-2016 period. In practice, that means that funds that come in 2014 will be considered part of a country’s overall 2014-2016 allocation. In all cases, applicants are encouraged to look at how to use all funds in a way that best delivers impact. Continue Reading.